Wonder Woman is a fictional DC Comics superheroine created by William Moulton Marston. Two strong women, his wife Elizabeth Holloway Marston and Olive Byrne, a mutual lover, served as exemplars for the character and greatly influenced her creation. Wonder Woman first appeared in All Star Comics #8 (Dec. 1941). 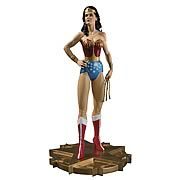 She is among the first — and most famous — comic book superheroines, and is a founding member of the Justice League. Princess Diana is an Amazon from Greek mythology. Her name, "Diana" is reflective of the mythological character, "Diana" or Artemis. 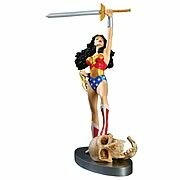 Her mother is Queen Hippolyta, or Hippolyta, the queen of the Amazons. 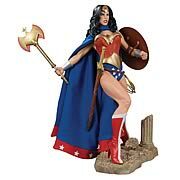 When Diana leaves the Amazons to travel to the world outside, she is known as both "Wonder Woman," and as "Diana Prince." 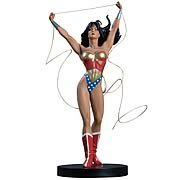 As Wonder Woman, she was awarded several gifts by the Olympian gods, including the Lasso of Truth (created from the Golden Girdle of Gaea) and indestructible bracelets/gauntlets (formed from the shield Aegis). For several years she was described in the splash page of each story, as "beautiful as Aphrodite, wise as Athena, swifter than Mercury, and stronger than Hercules." 1/12, 1/18, 1/24, 1/43 scale 2001 Diecast models from all the top manufacturers including AutoArt, Maisto, Bauer, Bburago, Minichamps, Motor Max, GMP, Road Legends, Motor City Classics, UT Models, ERTL, Kyosho, Signature Models, Precision Miniatures, Sun Star, First Gear, Exoto, Hotwheels, Welly, Highway 61,Greenlight, Jada Toys, Johnny Lightning, Ricko, Revell, Shelby Collectables.